Correct part and fast service. EXACT PLUG FOR THE ENGINE.. Solved my hard starting issue. No complaint. Exactly as expected. 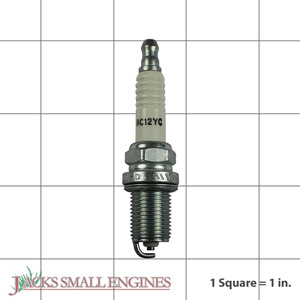 Ask us about the Champion RC12YC Spark Plug 71. Please no repair questions. Your Q&A may be posted to Jackssmallengines.com to help other shoppers, like you, with their purchasing decisions. Thank you.